TOP-RIGID, our partner in the Philippines organized a successful seminar with affirmatory attendance recently in Cebu City, the first class highly urbanized city in the Philippines. Pre-registered participants from various industrial fields attended to gain better comprehension regarding ULTITEC protective clothing series. Although participants came from different professional levels, due to the high degree of interest on ULTITEC series, they paid great attention throughout the seminar and inquired about details on fabric performance, proper usage of protective clothing, features of garment selection etc. As ULTITEC’s promise of “You are safe with us!” to distributors and users, we managed to apply professional knowledge and experience to all end-user solution smoothly. Besides, correct donning and doffing demonstration is being showcased to attendees and this further aroused confidence and trust in accepting ULTITEC series are the suitable garment selection for them. We believe potential behavior changes are the coming trends which are undeniable in the future. This could be further proven as ULTITEC series especially ULTITEC 1000L is being supplied continuously for all Shell franchises in the Philippines. 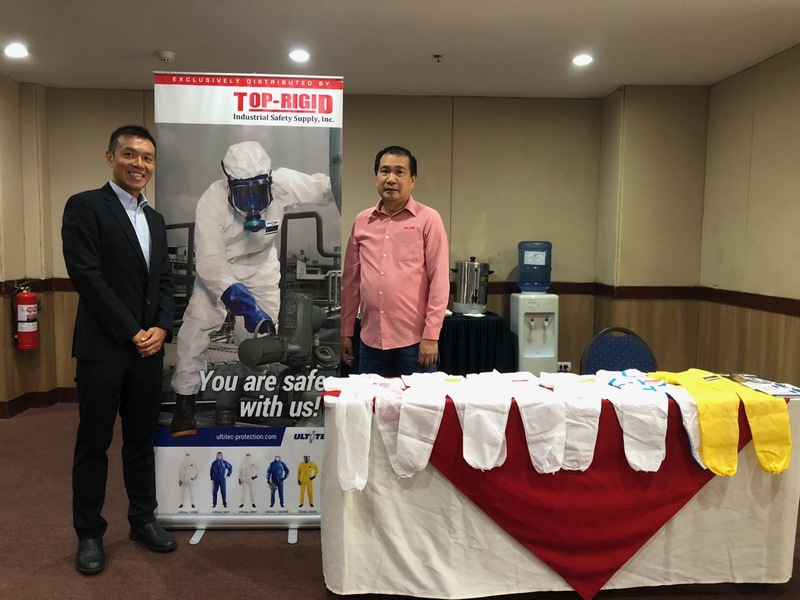 We sincerely appreciate our partner TOP-RIGID for arranging this extremely successful and meaningful seminar in this beautiful city of the Philippines.